What’s the one shade you wish you could pull off, but can’t? Easy peasy… you can count on one hand the number of times I’ve posted a FOTD on here wearing green eyeshadow. It looks vile against both my skintone and eye colour. I’ve tried khaki and lime, chartreuse and forest, jade and seafoam. It just ain’t happening in this lifetime. Clumps of Mascara – has found the blush of all blushes. This one is absolutely gorgeous! 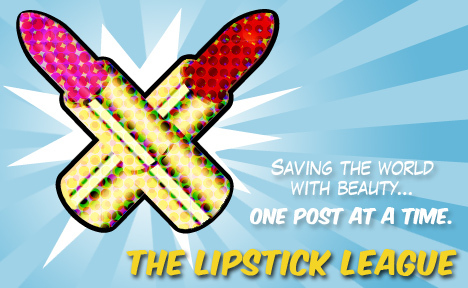 Lipglossiping – channels her inner eyeshadow geek when she swatches her Shiro Cosmetics haul. Come take a peek(achu)! Nouveau Cheap – is giving away 10 sets of the fab new Milani Glossé Top Coat and Smoothé Base Coat (contest ends midnight on 4th of July)! Orange to LA – recaps her first IMATS Los Angeles 2011 experience. If you didn’t make it out to IMATS this year you can see what you missed! Pink Sith – Introduces you to the new Chanel Illusion D’Ombre gel shadows. Will you fall in love with them as much as she has? Phyrra – falls in love with the Too Faced Eye Love palette and tells you where you can find it. Vampy Varnish – You can’t miss out on these limited edition glosses from Milani. we heart this – did IMATS last weekend. Wow, did they ever! Check out the haul photos. Beauty Junkies Unite – Find out why Amber’s experience with the Velvet Mineral Pressed Powder Foundation from Amazing Cosmetics didn’t wind up being as amazing as she had hoped! How about you? Are there any shades you wish you could pull off but can’t?